It’s a universal truth. We all make time for what is important to us. And yet, many people struggle to make time for important things like taking care of their health and fitness, which is something many people wish they did. Motivation helps, of course, but it doesn’t last. It comes and goes, and it isn’t sustainable. So, it takes more than just motivation to succeed over the long-term. Call it purpose or passion or a drive. Regardless, it takes something deeper. So, if you want to get started with natural movement fitness, or if you want to take your training up a notch, how can you leverage this idea of going deeper? Why do I want to move better? Why do I want to pursue natural movement fitness? Why is this really important to me – deep down? And when you get an answer, keep digging. Go deeper! Is it because you want to be strong and capable? Is it because you feel weak and helpless? Is it because you want to be able to move well into old age? Is it because you want to keep up with your kids and grand-kids? Is it because you want to be prepared for whatever the future has in store? Is it because you want a better quality of life now? Is it because you’re tired of struggling to climb stairs, get up and down from the ground, or in and out of your car? Once you get down to the bottom of what really drives you – what resonates with you on a deeply personal level – you’ll have a newfound sense of purpose. This will help you get started and keep going because now you know what’s really important to you. Then it’s simply a matter of making time for it and getting started. Now, there are many different ways to approach beginning, but none of them get around the fact that you have to make a decision to put in the effort – day in and day out. If that sounds daunting, one of the tricks of the trade is to start small and progressively work your way up to doing what your goals will eventually require of you. So, if you’ve been struggling to get started or stick with an exercise program, don’t start your natural movement journey by expecting yourself to train for an hour every day. Instead, start with something so small, and so simple, that you’re 100% sure you can stick with it – even on your busiest or worst days. It could be as simple as deciding to spend 5-10 minutes practicing natural movements every day. It might not sound like much, but it’s a start! Now, much more has been written about personal development, success, motivation, and taking action, among other similar topics. But the truth remains: we all make time for the things that are important to us. So, once you’ve figured out what drives you, and have made a decision – a commitment – to get started, the next step is to decide WHAT you’ll be doing. Here are a few good resources to get started with Natural Movement Fitness. 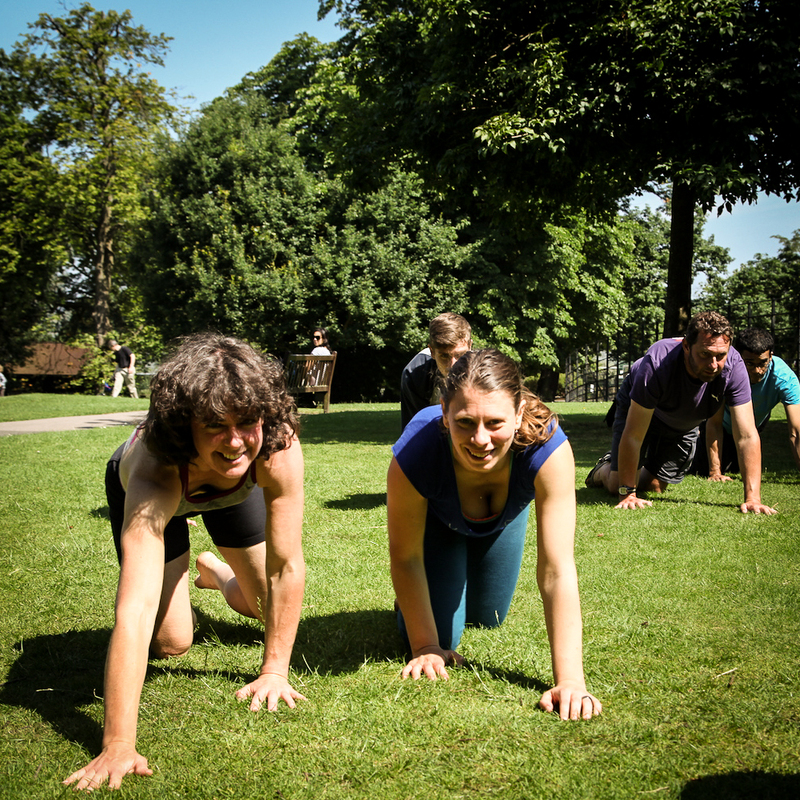 Our beginner-level course, From The Ground Up, is a perfect way to start on your journey of practicing the full spectrum of natural human movement skills. You’ll get a little bit of everything from this 12-part course. Here’s Part 1 of 12. Note: you can Click Here to check out all 12 parts of the From The Ground Up Course. 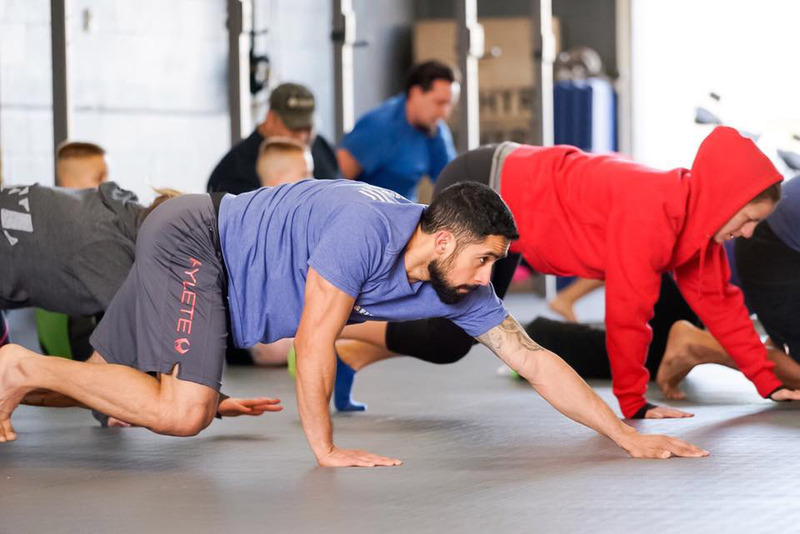 If better mobility is a goal of yours, then our MovNat Follow Along Mobility Course is a great way to restore those ranges of motion using practical, natural movements. All of the sessions take less than 15 minutes, and each video is meant to be followed for 1 week. Here is Part 1 of 8. If you just want to dip your toe in the water and start exploring some natural movements, you could simply find a movement you haven’t tried from our MOD Daily Workout Archive on Youtube, and start practicing for a few minutes a day. There are hundreds of instructional and demonstration videos to work through. You could pick one new movement to practice every day. Or, focus on one new skill to improve over a week’s or month’s time. Note: you can click here to visit the MovNat Youtube Channel. Treat your practice like you would any other important appointment. Show up on time and get it done. If it’s important to you, you’ll make it happen. Now, if you still find yourself struggling, we’re here to help! 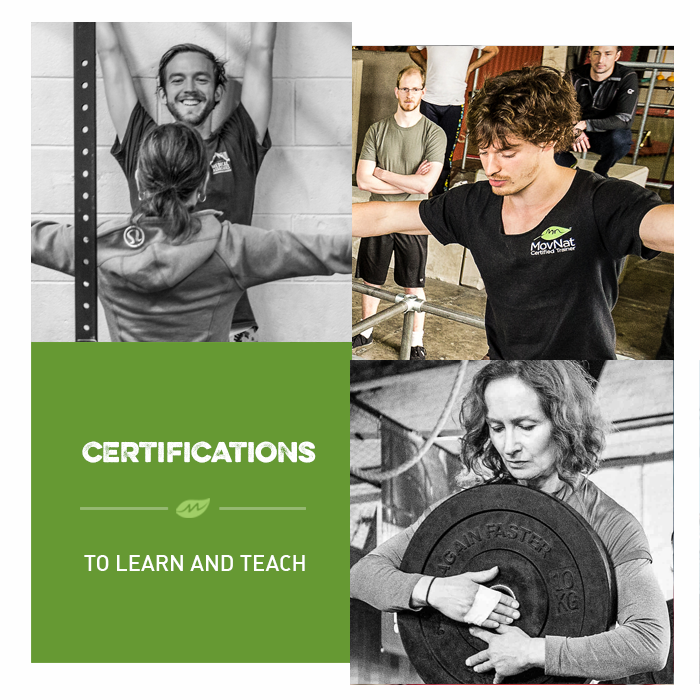 You can join the MovNat community and get some hands-on training at the links below. I’m an off-campus piano teacher for the Conservatory at Mount Royal University in Calgary. I’ve been studying at Ontrinsi twice a week for a year now. I am interested in getting certified. Although I’m not a fitness professional, I am quite interested in the subject and I’ve actually been applying what I have learned to piano practicing! (Hard to explain on an email). Currently, I am still working on getting a chin-up and a proper push-up (can do with knees on floor). I have gained 10 pounds of muscle in the last year… I know this because my pants still fit! It’s all in my arms and back. Do you think I would be a candidate for the course in May? Sounds like you would be a great candidate! Definitely get some tips from the fantastic staff at Intrinsi, but if you’ve been exposed to MovNat at such a wonderful facility, I’m sure you’ll do fantastic. Looking forward to seeing you pass! Let me know if I can help in any way! I just want to say Thank You for this post. It is almost as if it were written for me. I have been reading up on Movnat since the article in Men’s Health by Chris McDougall. And yet, I never seem to follow through with implementing it. Getting down to the Why…that is helpful. My Why is my kids. I want to be able to move and play with them and my future grand kids. My dad always struggled to play, or he’d over do and not be able to move for the next week. I don’t want to be like that. Thank you for putting into words what I knew deep down inside and helping me uncover the reason. Definitely a better motivator. Has kept me going longer than any other motivation.